Rate each of the statements listed below on a scale of 1 to 5, where 1 is ‘Never’, & 5 is ‘Always’. Total up your score & compare to scoring. I have a little control or influence over my work. My work interferes with my family/personal life. I have too much work to do and/or unreasonable deadlines. I think there is one right way to do things. I don’t receive the recognition I deserve when I do a good job. It’s difficult for me to express my thoughts & feelings about my work conditions to my superiors. I am easily irritated and/or upset. I have witnessed or am aware of bullying (physical or verbal bullying) in my workplace. I keep things inside & don’t burden others with my problems. I tend to neglect my diet (eat irregularly, eat unhealthy foods, etc). I try to do everything myself. I rush through the day & have no time left to relax. I make a big deal about everything. I spend a lot of time complaining about the past. I have trouble sleeping and/or sleep too much. I suffer from headaches & migraines. I feel tired / fatigued for no real reason. I feel as if I don’t want to get up in the morning. 20 – 40 Low. You have few stressors in your life and/or you seem to be managing them quite well. 41 – 60 Fairly Low. You are likely experiencing some negative effects of stress. Depending on the changes and challenges in front of you, you might want to learn ways to deal more effectively with the stressors in your life. 61 – 80 Moderate. 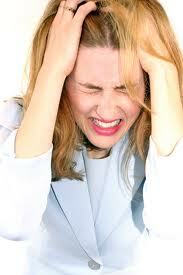 You may be suffering from chronic stress, depending on your ability to deal effectively with the changes in your life. It would be advantages to you to learn ways to deal more effectively with change and to minimize the adverse effects of stress. 81 – 100 High. You are probably suffering from some of the detrimental effects of stress and should seek out resources to help you cope more effectively. Some of the symptoms you may be experiencing include headaches, problems with sleeping (insomnia or sleeping too much), irritability, difficulty concentrating, depression, anxiety, difficulty balancing work and home indecision.